Fae Savignano, SVP, contributed this post about prizes. Research shows that more than half of all adults in the U.S. enter at least one sweepstakes every year, and this amount increases exponentially. Promoting Sweepstakes and Contests are an excellent way to engage and retain your customers and a properly structured prize offering will definitely enhance your endeavor. Let’s face it, the chance of winning an expensive and alluring prize is just too tempting to resist! As we all know, a prize is always present in Sweepstakes and Contests; therefore, here are some key points to keep in mind when developing your prize structure and selecting the prizes you wish to offer and ultimately award. Develop a theme and select prizes that are relevant to the sponsoring brand, your target audience and your ideal new customer. Make sure the prizes are desirable and worth the effort. Do you really want to win them? Is the prize something that people will care about? Is there a cash option? A prize is anything of value awarded to winners. The value of the prize needs to be worth people’s time and effort as well as creating excitement for them to enter. If your budget is limited and your prizes are nominal in value, we would suggest having multiple winners. Having multiple winners will help to increase the volume of entries your promotion receives, giving your entrants a greater chance of winning. Awarding your products as a prize is a “win – win” decision. Consider turning your product into a prize experience allowing your audience to think about how they would use your product and why it could be valuable to them. Certain non-tangible items such as bragging rights, special mention, etc., may not be viewed as prizes. Consider awarding these in combination with other more tangible prizes. Know the difference between a gift (available to all or many that required a purchase or fee to receive) and a prize (awarded to a few that will not incur any purchase or fee to receive*) and ensure that it is clearly communicated to the entrant. For further clarification a gift can include; a premium (gift with purchase), a cents-off coupon, discount offer, buy one – get one offer, etc. *Also note that in a sweepstakes, a purchase may be required for entry; however, you must also include a No Purchase method of entry to avoid legal issues. What type of prizes should I award? The most popular prizes are: cash, gift cards, cars, trips, electronics, free products and services. Marden-Kane has published numerous blogs on this subject which are available to you. Please refer to them for more in depth information, reasoning and tips. Which prizes are not allowed to be awarded? Any type of contraband or illegal substance cannot be a prize in a Sweepstakes. This includes illegal drugs, prescription medicines, illegal firearms, counterfeit products, stolen goods and certain types of plants and animals. Other items that may be illegal if offered as a Sweepstakes or Contest prize include alcohol and tobacco products. Both are subject to state and federal regulations that directly address giving these items away as part of a Sweepstakes, Contest or other type of promotion. What else needs to be considered before including and advertising a prize in your offering? Are you allowed to advertise the prize? Do you have the proper rights to display the prize, use their trademark, name, logo, etc.? Can I use a picture of the prize I found online? Can I offer tickets to an event or theme park? Be aware that each prize you are considering will need to follow their respective Terms and Conditions posted on their brand site. Some products, events and/or locations may require obtaining permission of use which may be time prohibited. Do not assume that if it is found online we can copy and use it without prior permission. Although it may depend on how a sponsor utilizes a third-party trademark, the sponsor should consider getting trademark permission when awarding the following prizes: Tickets to athletic events; Tickets to sponsored events; Vacations to a particular well-known destination; Automobiles and other similar large ticket items; and, any prize where the third-party trademark will be used on packaging, POP materials, direct mail or advertising. Do you need to include specific legal disclaimers regarding the use of the prize, etc.? What about prizes awarded to children? All prizes should be appropriate to the child audience. Advertisers should recognize that children may have unrealistic expectations about the chances of winning a Sweepstakes prize. The prize(s) should be clearly depicted. The free means of entry should be clearly disclosed. The likelihood of winning should be clearly posted in language readily understandable to the child audience. Disclosures such as, “Many will enter, and few will win.” should be used, where appropriate. Prizes won by a minor should be awarded to the parent or legal guardian of said winner. Also note that when offering specific toys as prize, they will also need to pass “lead free” tests and “small parts” tests prior to offering same. Does your prize require a payment to claim it? If you require the winner of a prize to submit some type of payment in order to claim their prize, this constitutes after-the-fact or “post consideration” and violates the prize notification statutes of various states. These statutes make it illegal to condition the award of a prize to a winner on the payment of a fee, requirement to purchase, or submission to a sales presentation in order to claim the prize; therefore, when selecting the prize, make sure that there will not be any post consideration required. When offering gift cards/certificates as prizes for redemption on or off line, be sure to avoid “post-consideration” (that is, the winner has to pay something to actually use the prize), the gift certificate should be for a dollar amount large enough to purchase an item at that store. Some states also prohibit prizes of gift certificates with expiration dates. 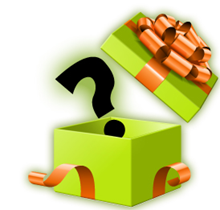 Should you list all items not included within the prize offering? Car Prizes: When offering a car as a prize, make sure to list what costs the winner will be responsible for; such as, sales tax, title, tags, license and insurance costs. Vacation Prizes: When offering a vacation prize, the Official Rules should clearly state what is and what isn’t included within the prize offering. For example, ground transportation; meals; spending cash; activities; hotel taxes, airport taxes, and port fees; gratuities, etc. Shipping and Installation Fees: Most of the time, shipping of the prize to the winner is included. However, in some cases when the prize is a new set of household appliances, a home theater system, or a room makeover, the prize only covers the items themselves, not installation. This information must also be clearly disclosed within the Official Rules. The Sponsor may elect to award said winner an additional cash award to assist in the payment of these charges. Be aware of hidden fees. When offering memberships and subscriptions as prizes, be transparent regarding how long the membership is for; what will be required from the winner to sign up/register; and, if the membership even automatically renews itself unless you call and cancel. In the United States, a winner is required to pay taxes on the prizes they win. Depending on their tax bracket and the value of the prize, this could add up to a significant amount. A prize over $600 is considered miscellaneous income to the government and Sponsors are required by law to issue a 1099 form to winners who receive a prize (or multiple prizes) valued over $600. The Official Rules should clearly identify the value of the prize as the “ARV” or Approximate Retail Value (based on the fair market value at that time). Sponsors may wish to assist the winner in paying any taxes due on the receipt of the prize, by offering the winner additional cash. Please keep in mind that any cash provided by the Sponsor to defray a winner’s taxes on their prize is in itself, a taxable income to the winner. The reported value of the prize must be its retail value on the date it was awarded to the consumer. For prizes that are paid out to the winner over time, there are special IRS rules on reporting the income for 1099 purposes. If the award is a prize to a non-resident alien, there may be different tax obligations, including withholding taxes. Where the prize is cash or its equivalent, the value to be reported is, obviously, the face value. Sweepstakes prizes which often lead to disputes or dissatisfaction with the winner regarding reported fair market value are automobiles and trips. For automobiles, the tendency is to report the manufacturer’s suggested retail price (MSRP) as the value. However, automobiles are rarely sold for the MSRP. Accordingly, the lower price at which the Sweepstakes Sponsor purchased the vehicle may be a more acceptable fair market value. For trips, Sponsors may also need to consider their direct costs for the different components of the trip in determining the fair market value of the trip. The same holds true for electronics. At the time of the Sweepstakes a television may have a certain value but by the end of the program it may be a lower value since a newer model may be available. What information about prizes is required in the Official Rules? The Official Rules governing the promotion should be written so the participants can understand who/how/when to enter, and provided when/where the promotion is advertised. These promotion rules should be written carefully, because the Sponsor will be legally bound to adhere to them once the promotion begins. The rules should clearly and accurately explain who is qualified to participate, how the Sponsor will run the promotion and choose the winner(s), what the prize(s) will be, the value of the prize(s), and the deadline for entry. The rules should also include the odds of winning, or an estimate of the probable number of people who will be eligible to participate. In addition, the rules should also explain the free method of entry, if some entrants may also be making a purchase. Not responsible for lost, misplaced, stolen tickets/vouchers, etc. after they have been received by the winner. (e) Winner must take delivery by ……..
What do you do if a winner refuses their prize? This usually occurs when a prize is a car, boat, vacation package, or another high-value prize that has significant tax implications. If this winner does not want to accept the prize because of the taxes they will be responsible for paying, the Sponsor may opt to assist with providing additional cash to the winner to assist with payment of these taxes; however, this additional cash awarded will also be taxable. If the prize is refused, the Sponsor will disqualify said potential winner and select an alternate potential winner to notify, time permitting. Can a promotion require purchase of another product of the Sponsor to win a prize? If a Sponsor chooses to promote a prize in conjunction with an inducement to purchase a product, the Sponsor must provide consumers with a free, alternative method of entry to avoid deeming this promotion a Lottery. It is extremely important to disclose the no purchase method of entry clearly. If a winner doesn’t want the prize, can a Sponsor give it to the winner’s relative, e.g., the parent or child, or even to a friend? The prize can be given to a relative or other person only if the rules specifically allow it. However the decisions of the Sponsors are final and may require appropriate Releases to be completed and notarized. Is a cash alternative for a prize required? No. While it is often done for high-end prizes, it is not legally required. Nor does a cash alternative have to be equal to the retail value of a prize. Do unclaimed prizes have to be awarded in a Second Chance drawing? Generally no, although some state statutes do require that all prizes offered should be awarded. The FTC and other regulators have held that unclaimed prizes need not be awarded, provided the Official Rules of the Sweepstakes specifically state that they will not be awarded. Many Sponsors, however, do award unclaimed major prizes to a charity or to consumers in a Second Chance drawing. Can a Sponsor cancel a promotion that is not drawing the store traffic or sales a Sponsor projected? Generally no, as once the offer is made the Sponsor must complete the offer in accordance with the Official Rules. While the rules could provide for the possibility of cancellation if certain events fail to occur, keying such cancellations to sales or store traffic is ill advised as it could run afoul of some state laws prohibiting the funding of a promotion’s prizes from sales revenues. Does a Sponsor have to tell an employer that it is offering the employer’s employees an incentive for sales of the Sponsor’s products? Yes. It is illegal to give incentives, including prizes in Contests or Sweepstakes, to employees of third parties who sell a Sponsor’s product unless the employer of the entrant is aware of the incentive. How does a Sponsor handle a policy that prohibits employees of its customers from accepting prizes? The best way to handle this problem is to provide in the rules of the promotion that if such a policy exists, the entrant is disqualified and another winner will be selected. Are Affidavits of Eligibility required from winners? Affidavits of Eligibility are not legally required. They are advisable, however, for all major prizes. It’s pretty simple really, consumers will be more easily attracted to your marketing message and brand by the opportunity to win fabulous prizes. The information provided here is but a brief overview of some of the marketing and legal issues that surround promotions and prizing. It is highly recommended that you obtain professional guidance prior to commencing your promotional journey. Need help developing your perfect prize structure? We can help! Contact us and we can also take care of the procurement, fulfillment and awarding of these prizes for you.